Guest Post: Is The Global Sync Market Set To Explode For Indie Labels and Unsigned Artists? The following is a guest post from Music Business Worldwide, and is reprinted here with the permission of the author. The original article can be found here. The amount of money pouring into record companies from sync keeps on growing. According to IFPI figures, record companies accrued $355m from licensing their tracks to video games, movies and TV in 2015 – up 6.6% year-on-year. The US is the world’s largest sync market, accounting for 57% of 2015’s revenue with $203m, while other standout territories included the UK ($33m), France ($30m) and Japan ($30m). Yet behind this lucrative growth stands an entertainment industry in flux. The rise of on-demand television and movies, combined with the increasingly heavy investment in original programming from the likes of Netflix and Amazon, has turned the nature of movie-making and broadcasting on its head. Netflix, for example, says it’s going to invest an eye-watering $6bn in original content in 2017, while Amazon is keeping up with recent blockbuster shows such as Goliath and The Man In The High Castle. Since being founded in 2011, Music Gateway has made its name matching musicians and songs with specific projects online – be that a manager looking for an artist, a DJ in need of a stem for a remix or a movie searching for a soundtrack. To better capitalize on these relationships, Music Gateway has this month launched an online Sync Portal to assist music supervisors, brands and ad agencies – offering tailored search tools to uncover the exact sounds they’re looking for. The Portal is currently servicing Music Gateway’s network of 700 music supervisors worldwide, including the likes of John Houlihan (Deadpool, The Book Of Life), Joel C High (The Devil’s Rejects) and Jonathan McHugh (Rush Hour, The Guest). In addition, Music Gateway recently inked a deal with an advertising group which represents over 300 agencies such as BBDO, DDB, TBWA and Vox Global – companies all now effectively plugged into music the company represents. The Sync Portal is obviously a time-saving application for those who clear music for movies etc., but why does Music Gateway believe it can revolutionize the careers of independent and emerging artists? “The sync market as a whole is growing, but the average sync budget of each project has fallen considerably over recent years,” explains Jon Skinner, CEO of Music Gateway. “That’s partly due to expenditure being capped, but also because of a massive change in the market – the vast amount of content now being created by the likes of Netflix, Amazon and Vice. This combination of reduced sync budgets with an explosion of content investment, claims Skinner, has resulted in a greater need for music in TV, Ads and movie-land; specifically, music which doesn’t cost anywhere close to a Fleetwood Mac or Beatles hit. It’s here, he says, where indies and unsigned artists can clean up. 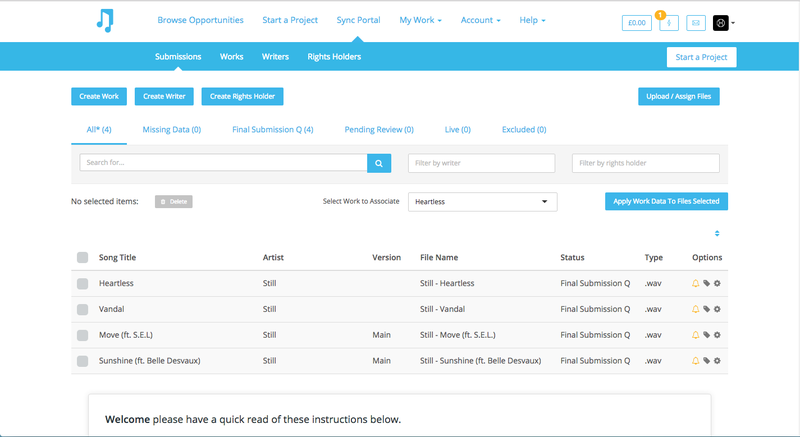 The Music Gateway Sync Portal currently only accepts pre-cleared and approved tracks – whereby the rights holder / creative owns both the master and publishing sync rights to the music. This is not only to keep things straightforward from a licensing perspective, says Skinner – it’s also a response to address one of the sync community’s biggest headaches. “The TV and advertising world works so quickly,” adds Skinner. “People are coming in at 9am stateside and trying to clear music for shows going on air that day at 6pm. He adds: “Traditionally, supervisors are being pitched music to answer a brief for a TV show or film – and, just like A&R people, they’re bombarded. The concept has already attracted the support of large-scale independent artist distributor CD Baby, which represents more than 2m pre-cleared songs opted-in for sync licensing. Jon Bahr, CD Baby’s VP of Music Publishing and Rights Management, said: “We are always looking for avenues to get our client’s music in front of music supervisors around the globe. Music Gateway is offering a more generous split to artists and rights-owners than the likes of Music Dealers – the online music licensing hub which fell into liquidation last year. Those who sign up to the Portal on a non-exclusive basis (ie. maintaining the right to pitch their music outside of Music Gateway), will keep 75% of any sync fees accrued through the system. However, those artists/publishers/labels who offer Music Gateway exclusivity will get a bigger slice of the pie, with 80% of any eventual fee. 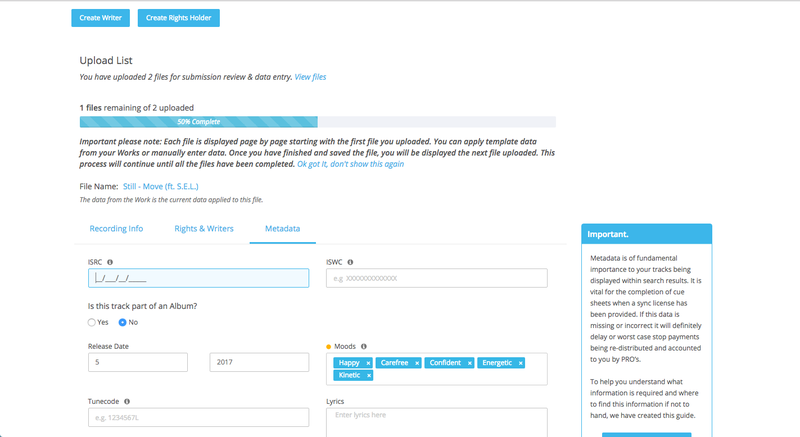 Rights-holders/creatives can push up to 20 masters into the Portal for free, and can add many more tracks and whole catalogues when subscribed to a Music Gateway Premium Pro / Business accounts (£12/$15 per month upwards). 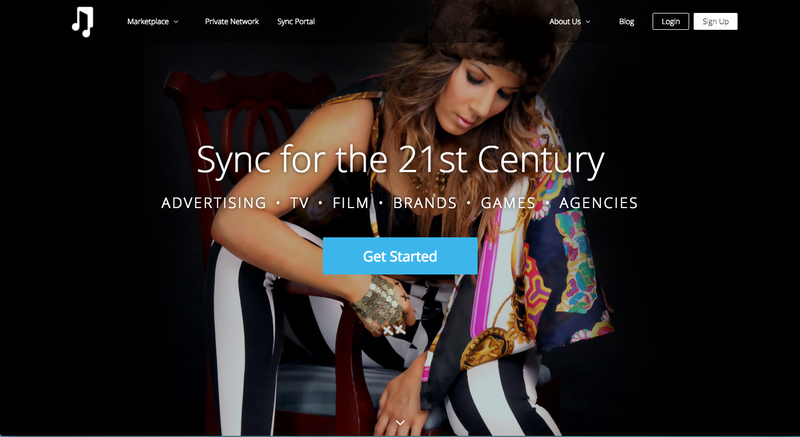 The Sync Portal is off to a flying start, with more than 400 rights holders joining within its first week of launch. “While we’ve got a large community of unsigned artists, we also represent a lot of independent labels and publishers,” says Skinner. Additionally, the Portal allows publishers, should they use sub-publishers abroad, to declare the territories in which they own (and don’t own) relevant rights – in addition to writer and PRO information. According to Skinner, Music Gateway will consider the ingestion of tracks where rights are split across different companies in the future. “We don’t really see ourselves as competition to the large publishers who are pitching for syncs out there,” he says.